Please click here for more photos from our newsletter of July 15th. 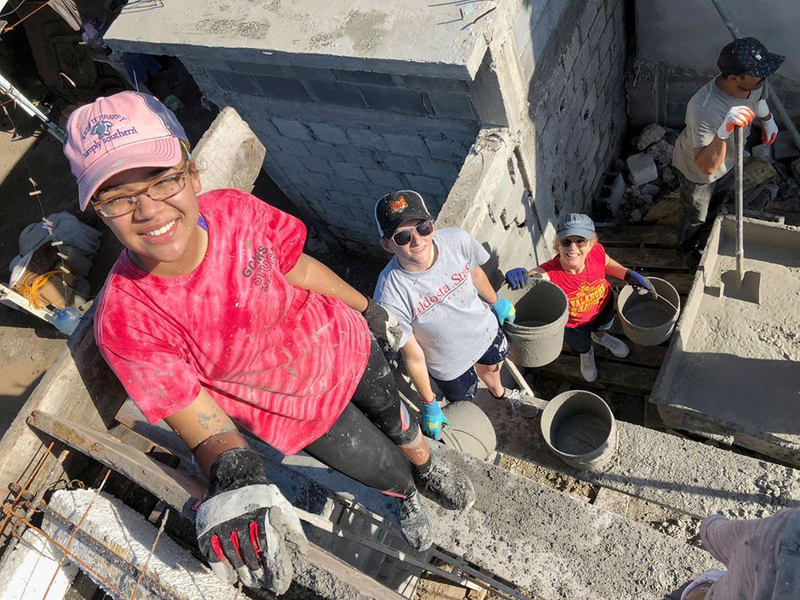 Erin, Amanda and Linda, pouring the roof at Casa #7!  with Linda Good. Jada, Wendy, Michael and Erin at Casa #13! Mixing mezcal to build the walls of Casa #12!  with Jamie McFadyen, Diane Vyvyan Regensburger and Jacob Regensburger. Brandon and Malachi, laying blocks at Casa #12! 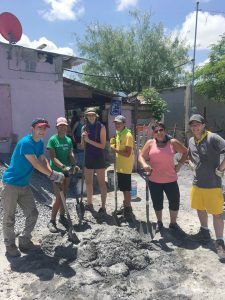 Last year the church sent a mission team of 19 individuals from July 9-15. 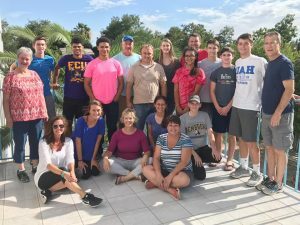 Our mission members worked with Faith Ministry to build houses just south of the border (see brief sketches of the families below. From all accounts, the mission for 2017 was a big success. For those of you who did not follow the Faith Ministry Facebook page posting photos, please click here for a video slideshow of the mission. 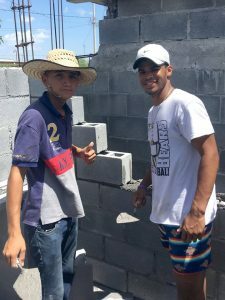 The first will be Casa #17 for the Martinez Guillen family – this home will be for Angel, who is our construction supervisor. 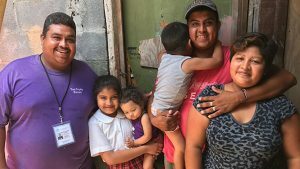 Also sharing the space will be his younger brother Fernando, who also works for us as a long-term volunteer, as well as Fernando’s wife Karina, and their three kids: Kendra (age 9, 3rd grade), Remigio (age 3) and Itziry Fernanda (age 1 ½). 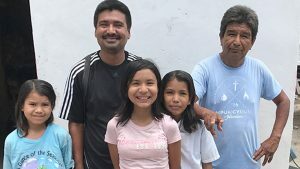 The second will be Casa #18 for the Hernandez family – José, who works for us as our garden caretaker and nightguard, his sons José Cruz, who works for us as a construction foreman, and Roberto, who works in a factory, and José Cruz’s three daugthers: Judith (age 12, 5th grade), Grecia (age 11, 3rd grade), and Aylin (age 8, 1st grade). The dedication of the mission was Sunday, June 25th. To see a video of the dedication portion of the service, click here. To read the mission’s devotional, click here. It takes approximately 600 blocks to build a 12’ x 24’ home in Mexico. The Witness Committee – under the authority of the Session – has created the Buy A Block/Build A House program to allow more people to participate directly in the Mexico Mission. All who wish to join are encouraged to buy blocks at $10 each. You can buy as many as you wish and we will track the progress in Eller Hall. Donation envelopes and a box to put them in are located in Eller Hall. In addition, we want everyone to fill in index cards with prayers and favorite Scriptures for the families we will build the houses for. 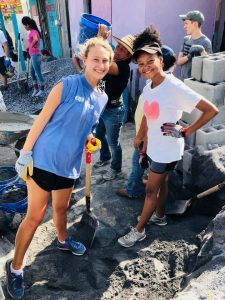 As the team builds the walls of the houses, we will place the cards in the blocks so that as we build the house, we will also cover the house with Scripture and prayers for the families. Again, these cards are in Eller Hall. We hope that everyone in the congregation will participate in both the buying of blocks AND covering the families with Holy Scripture and prayer. It is not necessary that you buy a block in order to participate in the Scripture/prayer ministry. 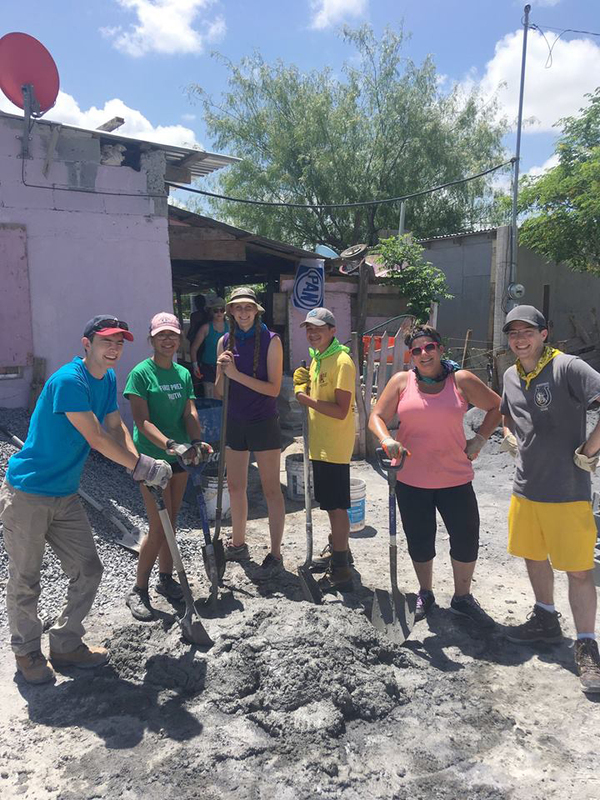 First Presbyterian is teaming with Grace Community Church for the Mexico mission trip. 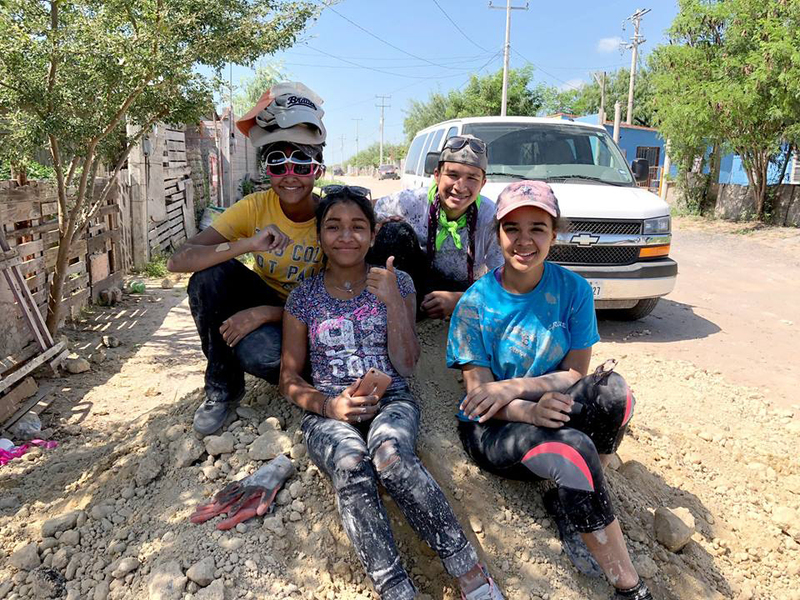 The team will be building 4 houses, three in Reynosa and 1 in Miguel Aleman. During the week, Faith Ministry will be posting pictures of the mission on their facebook page at www.facebook.com/FaithMinistryinMexico.